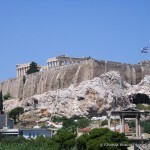 Temple of Hephaestus, Athens: Photo of the Week | Travel? Yes Please! The Temple of Hephaestus is the best preserved Doric temple in Greece. 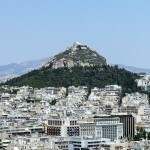 It was built on the western edge of the Ancient Agora in honour of God of the Forge, Hephaestus. The temple has 34 columns, a frieze depicting nine of the Twelve Labours of Heracles and was once surrounded by foundries and metalwork shops. 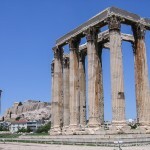 One of the first structures of Pericles’ rebuilding project, it was built by Ictinus, one of the architects of the Parthenon, which would be built two years later on the Acropolis.